Recently, I had the pleasure to accompany a client on a tour of a solar-powered house. Under construction on the campus of Catholic University, the house is bound for this year’s 2013 Solar Decathlon in Irvine, California. A number of PCGers, including me, are fans of this competition, in which college students design and build net-zero-energy houses. 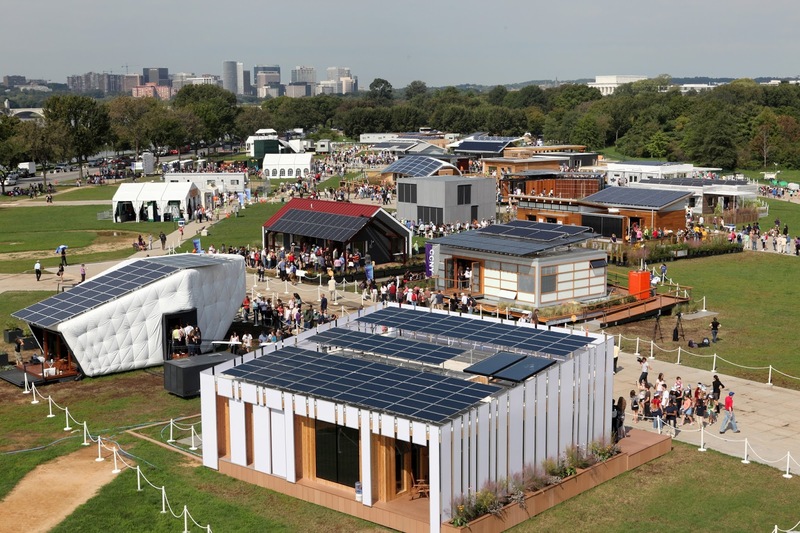 While we’re a little disappointed that the competition won’t be taking place in Washington, DC, as in years past, it’s still exciting to see a hometown team entering the contest and preparing to transport an 850-square-foot house across the continent. We arranged the tour for the National Fenestration Rating Council (NFRC), a public-interest organization that rates the energy performance of windows, doors and skylights, which helps consumers and others compare products. We’ve been proud to help this client communicate about its important work for more than 15 years. The house featured NFRC-certified windows, and following the visit, NFRC posted an article on its blog: http://nfrccommunity.site-ym.com/blogpost/925129/NFRC-News-Now. It was exciting to see first-hand how NFRC’s energy ratings helped a Solar Decathlon team select windows for its projects.